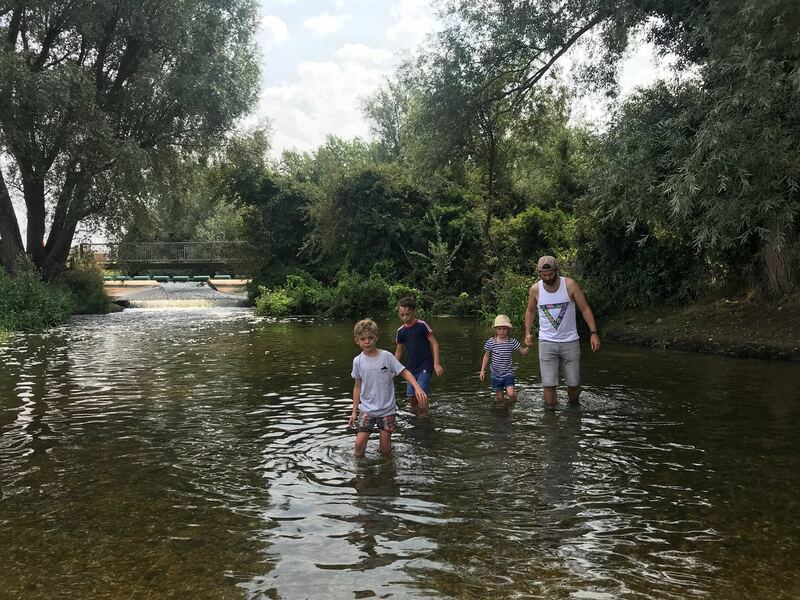 Today the kiddies went in the river with Daddy, apparently it was nice to cool down. The water looks quite clear from the photo but I am sure it was full of weeds. In the evening, Isla and I went to Milton Keynes theatre to see Shrek the Musical – it was amazing. We had such a lovely evening together.